So What Is Google Stadia and Why Should You Care About It? Google Stadia is Google’s own answer to console and PC gaming industry that is worth more than $60 billion dollars annually! Stadia will probably end the never-ending debate of which gaming platform is best; console or PC? Whether you are a PC gamer or a console lover, we all know that high end games come at a cost. Gamers have to keep up with the hardware and software requirement of high end games as the graphics and other aspects of the games improve. To some extent, console gaming has reduced the cost of regular hardware upgrades but fresh titles are usually expensive as compared to the same release for PCs. So how does the multinational tech giant disrupts this billion dollar industry by launching Stadia? Simply put, Google Stadia streams games directly to your browser Google Chrome (for obvious reasons). That’s right, this means even your grandmother can play high end first-person shooter games on old school Pentiums and Celerons. (Well we exaggerated that. There may be minimal hardware requirement to some extent obviously). All you need is just a web browser and a fast internet connection and Google’s servers will take care of the rest. Google Stadia integrates with YouTube which will allow a user to stream the game in high definition without having to worry about gaming cards, huge game updates at the beginning, etc. Google will be launching its very own proprietary gaming controller. However players can use their existing controllers of Sony’s PlayStation or Microsoft’s Xbox. Stadia well definitely redefine how games are developed, distributed, bought or shared and played. It removes major roadblocks for the gaming community around the world especially in third world countries. Also it may to some extent reduce piracy within the gaming industry especially for games on PC. So far, we can only predict that Google Stadia is here to stay and dominate! We are sure you would like to learn more Google Stadia and we’ve got plenty to talk about. What is Google Stadia Release Date? So when is Google Stadia going to launch? Google announced the launch of Stadia in US, Canada, UK and Europe in 2019 at the Game Developers Conference held earlier this year. What is the exact launch date of Stadia? Well there aren’t any exact launch dates announced by Google yet. The company plans to make Stadia available at some point in 2019. We will get to hear from Google this summer at E3 which is the Electronic Entertainment Expo. Until then we will keep tabs on rumor mills as well as Google’s official announcements for more information. Google Stadia Cost to Play: Will it be Subscription based or a one-time? With service like Stadia it is very clear that Google is planning to penetrate and disrupt the gaming industry by rooting out the very foundation of high end gaming i.e. cost. Stadia will allow any user to play games at a fraction of a cost of console gaming. We are looking at something long-term, perhaps a subscription based model like Netflix. However this is not something explicitly announced by Google but speculations are strong among the gaming community that a subscription based model will be beneficial for both Google and affordable for users too. Now, there can be instances where some titles may require purchases to unlock certain features of the game as we have seen in console gaming, but the general notion is that Stadia will be made available at a monthly subscription fee. We think that the subscription has to be what the masses would generally perceive as affordable in order for Stadia to survive in the long run. A price that anyone could easily pay even if they cannot play regularly! How Google plans to monetize Stadia is another question. While this may be of low interest to the general gaming community, it is something that may affect the pricing of Stadia. We will leave that to Google to see how they will play their game when it comes to revenue generation from Stadia. Perhaps in-game ads just as we see on YouTube or in-app purchases or may be through the sale of Google’s own controller might be the answer to this. Google Stadia Specs, Requirement and Configuration: Do you need to upgrade your PC for Google Stadia? As mentioned on Google’s official link, Stadia simply requires a high speed internet connection to stream games to your web browser. This means that no matter how graphic intense a game is, you just need a solid internet connection, around 30 Mbps or more. This is a good news for dormant gamers who have quit buying new titles simply because of the hefty price tags or cannot afford to keep up with the hardware upgrades required to run high end games for their gaming PCs. However, to run things smoothly we would recommend that your system should have at least 4 GBs of RAM, a dual core processor at minimum and free disk space. Having a graphic card would be plus but nowhere it has mentioned as a prerequisite to run Stadia. For those who play on console, well find a nice and clean place where you can safely put away your console for good. Just kidding. This is the new generation of gaming where hardware requirements are kept to a minimal so that anyone can play and subscribe to their favorite games. This way Google will be able to generate revenue from anyone who happens to have even the least amount of interest in gaming. Purchasing a controller might be the only investment you need to do if you want to run high end games on your PC, laptop or tablet. If you already have a controller that came with your console, Stadia can support that too provided it is a HID class USB controller. Does Google Plan to launch a Google Stadia Console to compete Sony’s PlayStation or Microsoft’s Xbox? As mentioned earlier, Stadia is cloud based gaming service that lets you run high end games directly from your web browser just as you would stream HD videos on YouTube. There are no plans or announcements from Google that they will launch a supporting console system for Stadia parallel to Sony’s PlayStation or Microsoft’s Xbox in the future. However, we cannot completely eliminate possibility of a Gaming Console for Stadia due to Google’s history of launching devices such as the Google Pixel Phone. To all the noobs (like they say in the gaming community), latency is a measurement of time taken by data to be transmitted to a receiver and back. That means the lower the latency, the better the gaming experience. This is something gamers who play multiplayer games face very often when gaming using poor internet connections. This is commonly referred to as a “lag”. A low latency rate means all connected players will experience the same events during the game at the same time without any delays. Remember the golden era of counterstrike? When you got to see the dancing ghosts of dead team mates? When Google revealed Stadia at the Game Development Conference earlier this year, it mentioned that latency is not affected on Stadia by multiplayer gaming. Google also demonstrated multiplayer games being played without any noticeable degradation in graphics or latency issues on Stadia. While it may seem very straightforward that since Stadia is cloud based gaming service which might be free from latency issues, we cannot disregard the fact that on the other end Google will try to maximize its profits from Stadia as the company plans to invest $13 billion into the project. Now, there can be a deliberate attempt to increase latency on third party controllers so that users are led to buy Google’s own proprietary controllers. But we can be totally wrong on this one as they aren’t any sources to back this theory for now. 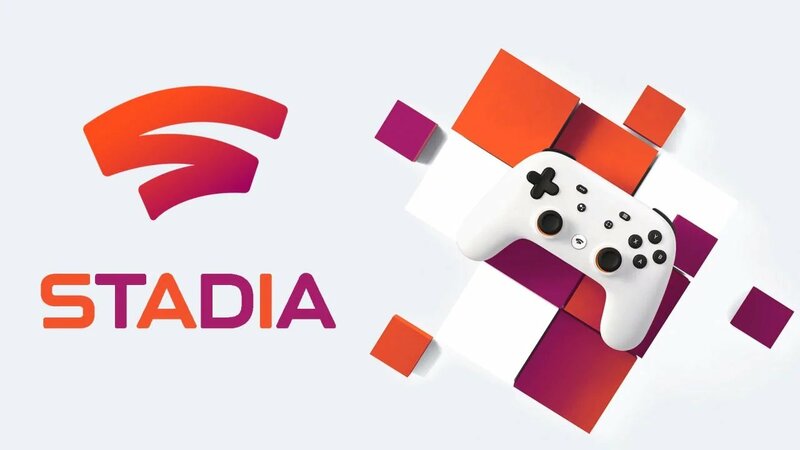 It won’t be an overstatement to say that Google Stadia will be the next social platform for gamers or more specifically for friends who would like to compete against each other over the internet. The choice to compete anyone from any corner of the world will significantly impact how we spend time on the internet. Removing the limitation to connect with anyone at any time regardless of the device is the core USP of social media platforms. While social media channels do offer multiplayer gaming they generally do not provide a complete immersive experience like high end titles do on consoles or PCs. With the freedom to play with friends without any hardware or software compatibility issues, we believe it will be a whole new experience that might come as a shock to major social media platforms. We can’t wait to experience what the world would be like when Google Stadia goes live this year. Before we dive into the details about what titles will be made available for user to get their hands on, we would like to mention here that Google had been recruiting game developers and publishers since 2018 and Phil Harrison has been tasked for this project. Google has already made available its development tools accessible for Stadia and has contacted more than a 100 game development companies for Stadia. A third unannounced game is also being developed by Q-Games according to Forbes. We believe Google Stadia will be a Game Changer for console gaming world and will completely disrupt the gaming industry. With Google’s reputation, we can expect all leading game developers and publishers to rush and adopt Stadia in order to remain in business and rightly so. It will also be perhaps the end of the status-quo for the elite gaming communities that happen to somehow feel privileged to be able to afford and enjoy high end titles or consoles. For an average user it will just be a matter of few clicks just like browsing the internet. The future of gaming is definitely not a high priced console box or a gaming rig. Google Stadia will definitely be welcomed by gamers of all ages and sizes. We would love to hear your thoughts on Google Stadia. Do let us know in the comments section below.